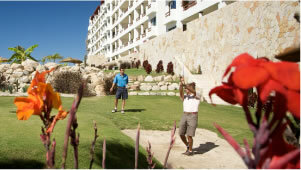 Alegranza is one of the most beautiful a communities for Vacation Rentals and luxury Condos in Los Cabos. Alegranza is an exclusive community of condos for vacation rentals located by the serene golf course of San Jose del Cabo, one of the most renowned destinations in Mexico. Within walking distance to the beach and the Cabo historic downtown, where the best restaurants, artisan Mexican handcrafts, jewelries and fashion boutiques can be found, Alegranza offers one of the best vacation experiences in Los Cabos. Carefully designed by widely acclaimed architect Carlos Herrera, for his tasteful Mexican touch, Alegranza Vacation Rentals Los Cabos is a celebration of splendid scenes, fresh sea breezes, exceptional location and beautiful architecture that will please your senses. 2, 3 and 4 bedroom condos, which offer incomparable comfort, practical open spaces, quality features and high-end finishes, perfectly harmonized with class, elegance and Mexican charm. Alegranza is designed for travelers who want to fully experience the flavor, sights and sounds of one of the world's most popular international beach destinations, Los Cabos. Our accommodations are the perfect fit for families and groups of friends who need extra room space, and demand all the services and amenities of a 5 start resort, a better and more sophisticated level of service and premises, than any standard vacation rental condo could provide. Find great deals on daily room rates and great prices for longer stays through our long term vacation rental program, on our Alegranza Vacation Rentals Los Cabos website. Come to Los Cabos and enjoy the luxury vacation experience that you deserve. 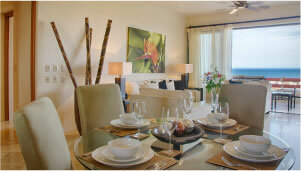 Alegranza Vacations Los Cabos offers a fine selection of luxury vacation rental condos. Book the perfect vacation rental in Cabo.